Pandaw operate their own luxury small ship river cruise expeditions on the Mekong River through Vietnam and Cambodia; the Red River and Halong Bay in Vietnam; Laos, China and Thailand on the Upper Mekong; the Irrawaddy & Chindwin rivers in Burma as well as coastal expeditions to the Mergui Archipelago and in 2019 opening in India on the Ganges River and Brahmaputra River and Borneo. 2019 is the 154th anniversary of the Irrawaddy Flotilla Company and the 24th since its revival by Burma historian Paul Strachan in 1995. 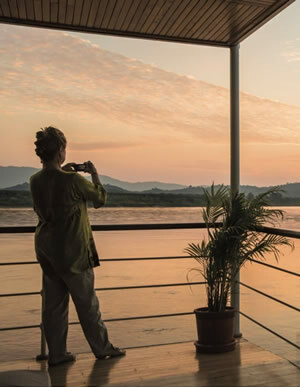 Pandaw pioneered river cruising in Asia and today has 16 owned ships operating on the rivers of Burma and Indochina.